“Education is the most powerful weapon that you can use in changing the world.” The words of ex President of South Africa Mr Nelson Mandela. 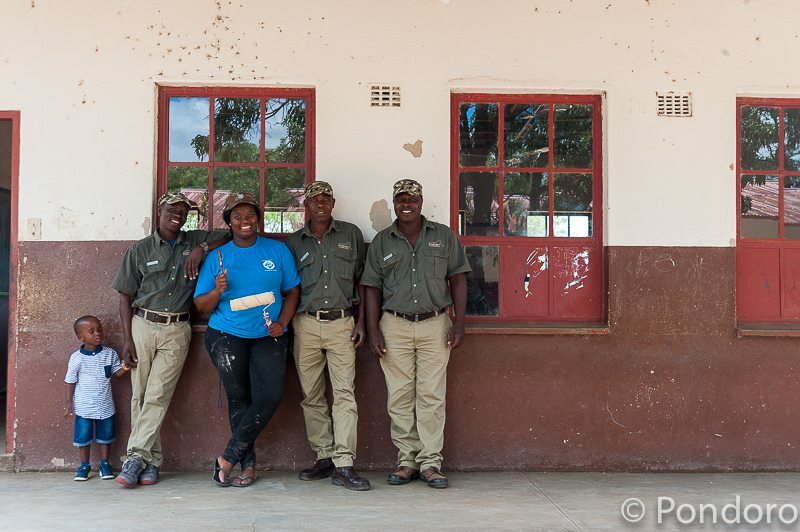 Pondoro has managed to join forces with The Point Foundation though our support of the Black Mamba woman anti-poaching team and their affiliation with the Bush Babies Environmental Educational Program. The Point Foundation was originally run under a UK vending operator, Coffee Point (Caffe Praego Coffee Company). In May 2008, the Foundation was delighted when Sally Gunnell OBE accepted the role of Patron. Today the Foundation raises funds and provides, on the ground support, for 5 major projects helping around 2500 children, most of whom are orphaned and live in institutions. The projects are based in Southern Africa where 85% of the children are HIV and in Rwanda, which does not have the same Aids problem, but has many of their own following the genocide of the mid 90’s. Point Foundation values are to make a major difference and impact where possible in order to help empower the lives of vulnerable children within Africa. The focus of their objectives are centred around the mission statement “LIVE, LIFE, LEARN.“ In this context The Foundation aims to raise sufficient funding to bring care, compassion and education to transform the lives of orphaned or vulnerable African children, from birth to adulthood. 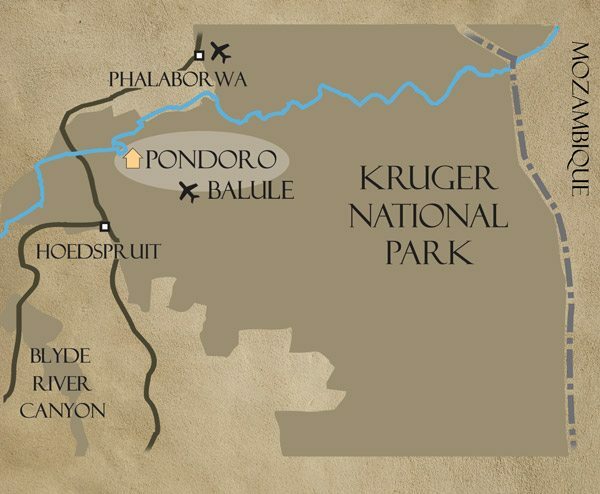 The Bush Babies Environmental Education Program is an environmental awareness program that is conducted at primary schools in the communities surrounding Greater Kruger National Park. 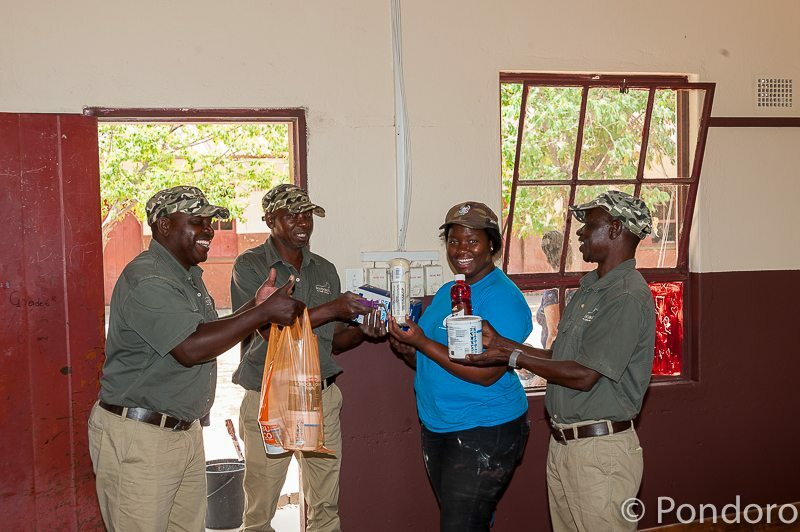 With 10 currently active schools and a total of 870 learners, the Black Mambas, through the Bush Babies Environmental Education Program are aiming to create an environmentally literate community. The Point Foundation has so far donated tens of thousands of Rands which have been used for renovations and classroom upgrades at the following schools. 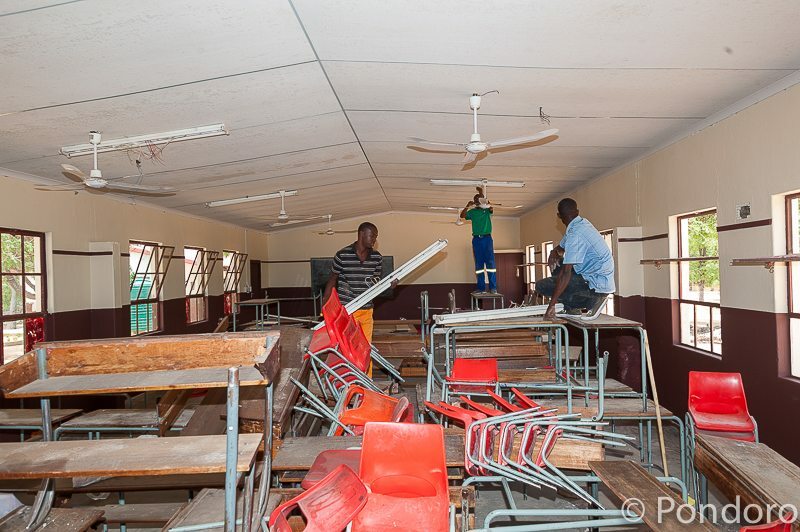 Maseke Primary: Installation of ceiling fans, replacing light bulbs and fixing tables. 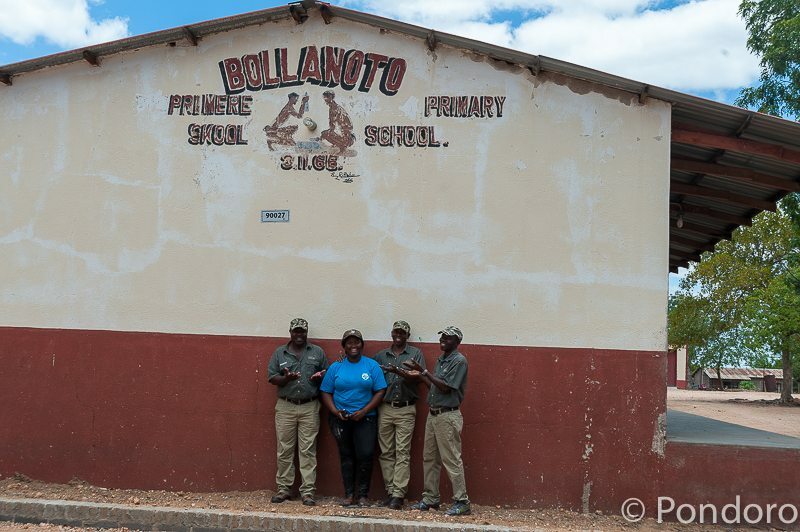 Bollanoto Primary: Bollanoto Primary is one of the best performing schools holding the first place with most distinctions (70% up over 2 years). It was built in 1966 and survived a hailstorm that detached and destroyed their roof in 2012. 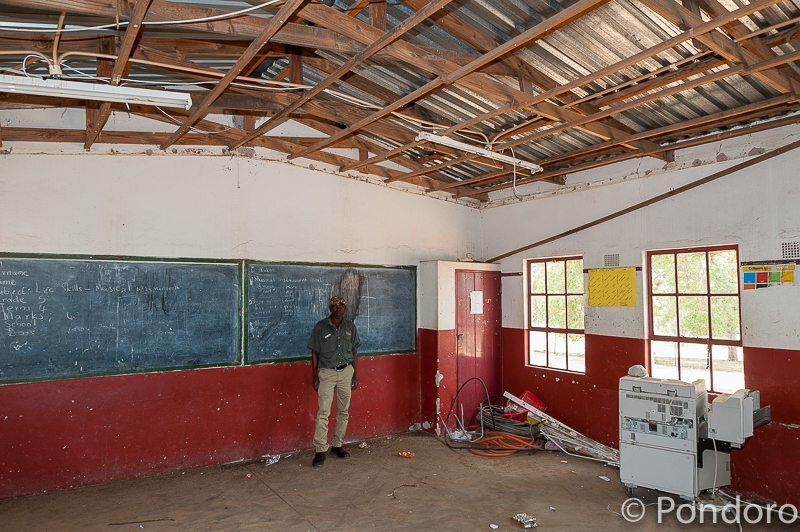 The hired Carpenter and his team replaced old classroom ceilings, fixed broken school desks and replaced fans. 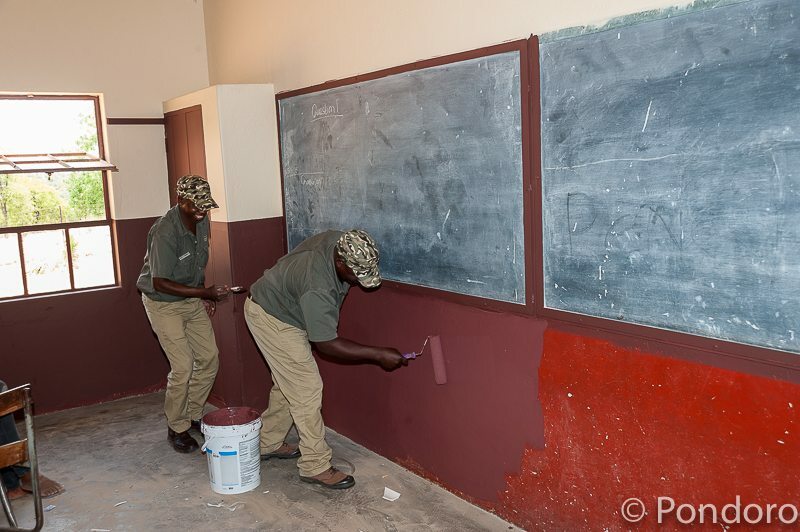 Lastly the classroom and writing boards were repainted. Pondoro wants to make use of this opportunity to thank Lewyn Maefala the Bush Babies Environmental Educator and coordinator for all her effort and hard work. Her enthusiasm for the project is highly contagious and is an inspiration for all. Pondoro is proud to be associated with The Point Foundation and its collaboration with the Bush Babies Educational Program. 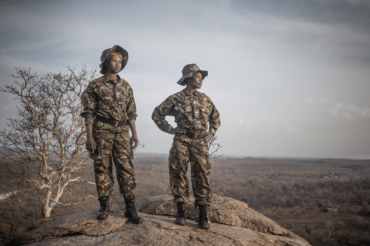 Our special thanks also goes out to Craig Spencer whose leadership and vision led to the formation of the Black Mamba Anti-poaching unit and birth of its offspring The Bush Babies. Together we will try and do our bit to changing the world. This is FANTASTIC! 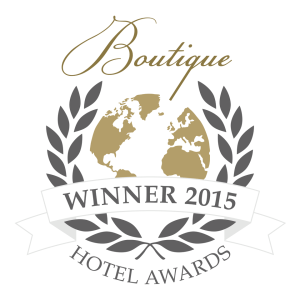 Thanks Pondoro! A very valuable contribution!